If you haven't already noticed, Putney and its surrounding area has no shortage of estate and letting agents. In fact I believe its one of the highest concentrated areas for them in the UK. With this in mind, I'm sure its no surprise to know that we have to be fairly good at what we do here to stay in business among all these big agents. The competition is fierce but we wouldn't have it any other way and our multiple awards, voted solely by our current landlords on customer service, proves we have something different to offer. Please check out our Testimonials and Awards page. 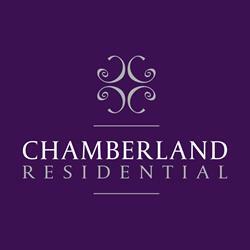 At Chamberland Residential, we continually prove that "BIG is not always better" when it comes to your property needs with customer service, professionalism, honesty and a personal sympathetic approach delivered to all our clients. This also includes being pro-active with your marketing, keeping up to date and understanding the current market conditions, being able to give the appropriate/accurate advice to you, communicating consistently and best of all....no head-office switchboards or passing around to voice mails or speaking to a different person every time you call. We are centralised to one branch in central Putney where most departments work and communicate together. Whomever you start your relationship with in the beginning is often who you will speak to throughout the whole process if you wish. We always aim to know and remember who you are whenever you call or pop in, not only because it's good customer service, but because our client relationships mean everything to us.